We love sharing the latest in home furnishing and home design trends. We understand that if you’re having a custom home built in the Corridor you’re probably on the lookout for some decorating ideas. So, today, we’re excited to share with you some fun and unique tile trends for your home. Yep, that’s right. Say goodbye to paint and wall coverings and hello to tile! One of the main reasons we love this idea is because tile can be used for both wet and dry environments. From large slabs to tiny squares, there’s an endless number of ways to execute this. We’ve even seen beautiful natural stone and wood imprinted on porcelain, and it’s pretty impressive! The days of trying to find the perfect color of stone or porcelain tile are long gone! 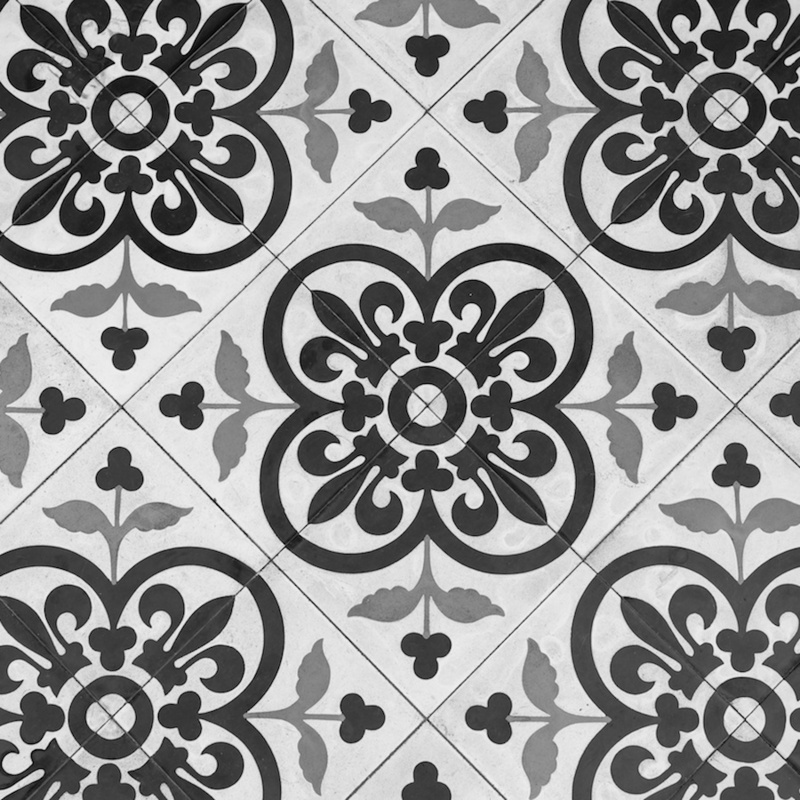 Technology has transformed the way tile looks and feels due to technical digital printing techniques. This process is so good that even a trained eye would have a hard time deciding which floor piece was actual wood versus tile with digital wood print. Wood, concrete, terrazzo are just a few examples of textures that can be recreated on porcelain tile, but you might be asking yourself, ‘why wouldn’t I just get the real thing?” Great question! Tile is very durable and easy to clean. It’s also hypo-allergenic and is usually mold and mildew resistant, so there are some definite upsides. While whites and browns are still attractive to many, don’t be afraid to step outside of this neutral box and experiment with some color. One of the biggest tile trends right now as it relates to color is Earth tones. While these are still subdued and timeless, they also introduce a feeling of richness and warmth into the home. We love this idea, especially for a child’s room, rec room or creative space. Again, the evolution of digital printing on textiles has created the opportunity to create something really unique. For a child’s room, you might think of picking their favorite animal or shape and integrating it into the design. For a more mature look and feel, there are a number of textile-inspired ideas you can play with like linen or burlap. These printed tiles can actual replace a painted accent wall to create the same feeling of separation or a pop of color or character. We hope that these ideas helped get your creative juices flowing and provided some inspiration for your next tile project. The team at Dahl Custom Homes is here to help you with any and all of your Corridor custom home needs, so please don’t hesitate to contact us if we can answer any questions or provide you with more information.